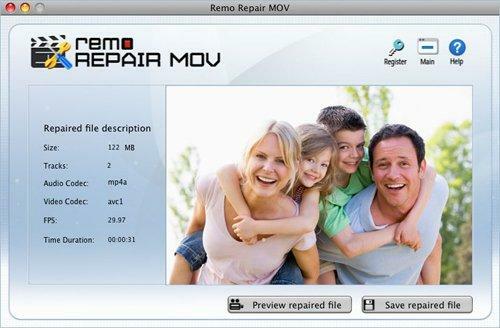 Easily fix MP4 that won’t play on Mac QuickTime player or Windows Media Player with Remo Repair tool. You just need to select the unplayable video, click Repair and Preview the fixed video for FREE. Help! QuickTime won’t play MP4 files? Though QuickTime claims to support MP4 format, sometimes you still can’t open MP4 files with QuickTime or the opened .mp4 file only plays sound without picture or QuickTime won’t play MP4 at all. The reason why QuickTime won’t play MP4 video as well as the solution to play any MP4 file with QuickTime on Mac or Windows is explained below. Codec error: QuickTime unable to open and play .mp4 video saying “MP4 file could not be opened. A required codec isn’t available.” QuickTime only supports MPEG-4 (MP4/M4V). Incompatible devices: Some Macintosh users reported that QT no longer played MP4 file after having updated to latest macOS Sierra. The unsupported drivers or outdated player could be the cause MP4 video not playing on QT. When a media player, be it QT, WMP or VLC can’t play MP4 file even after the installation of necessary codecs and updated drivers on your Mac, then it clearly indicates that the video is corrupt or damaged. 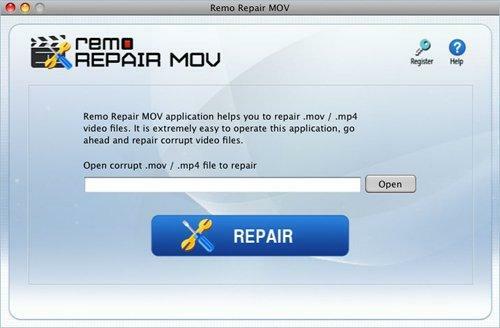 To repair damaged MP4 file on Mac, free MP4 file repair tool from Remo Repair is recommended. Note: Both demo and paid version of Remo Repair tool are similar in operation but the “Save” button is disabled in the demo edition. To save the fixed video files back to your Mac, activate the licensed version. 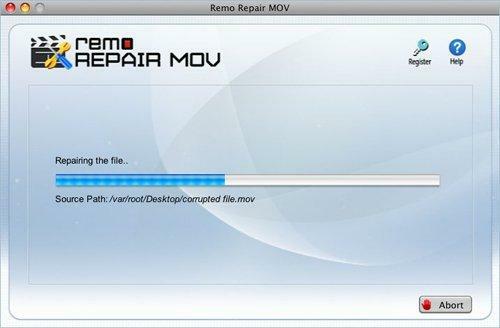 Free download Remo Repair MOV tool that supports MP4/MOV/M4V video format and install it on your Mac OS X. After installing, run the software and follow the below guide to learn how to fix QuickTime won't play MP4 video issue. Step 1: Launch Remo Repair MOV and select the MP4 file that QuickTime won’t play properly by using “Open” option, then click on “Repair” to fix QuickTime won't play MP4 video. Step 2: Wait patiently until the software automatically fixes the issues in the selected video or click “Abort” option to interrupt the repair process. Step 3: After completion of file repair process, click “Preview Repaired File” option to view the repaired video and click “Save Repaired File” button to save the fixed MP4 file.